In 2008, we fell in love with Masia Atalaya, a masia of 200 years old. In 2009 we started the renovations and in 2010 we expand our masia. Our masia is situated between almond and olive trees, near to a pine forest. We are Jose and Sandy, a Spanish-Belgian couple who likes to receive guests. Our B & B near to Atzaneta del Maestrat, has 2 small houses (for max 4 persons) and one guestroom each with ensuite bathroom and is located in the interior of Valencia in Spain. At about 1h drive from the airport of Valencia. 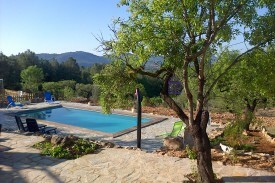 We have a swimming pool (9 x 4), a petanque court, a trampoline and hammocks. We have everything needed so children can play football, badminton, tennis and there is also a real camping tent with toys for them. We offer several terraces where you can eat, have a drink or just enjoy the sun. 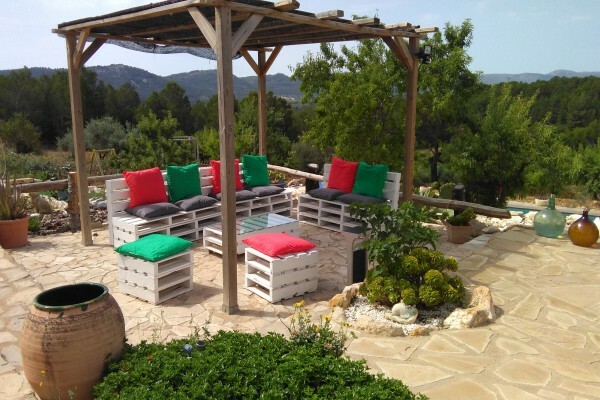 We wish you a warm welcome in Masia Atalaya! Casa Monlleo (max 4): two bedrooms-of which one with a double bed and the other with two single beds-, a living room with a sofa bed, a bathroom with shower, a kitchen, air conditioning, heating, TV and Wifi. Rambla de la Viuda (max 2 adulds and 2 children): a studio with a double bed, and a sofa bed for 2 persons, a bathroom with shower, kitchen, ari conditioning, heating, TV, and Wifi. 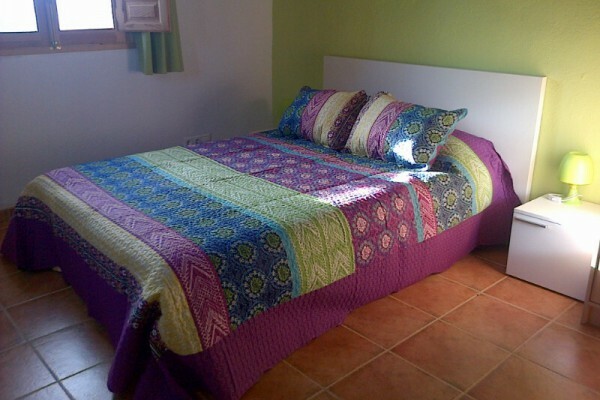 Meanes (max 2 persons), a double-bedded room with shower bathroom, heating, TV, Wifi. Air conditioning. No experiences yet with Masia Atalaya. Be the first! Did you stay in Masia Atalaya? Let us know what you thought about it and help others to make the right choice! * I confirm having stayed in Masia Atalaya. Find other bed & breakfasts in Atzeneta del Maestrat or all bed & breakfasts in Valencian Community.